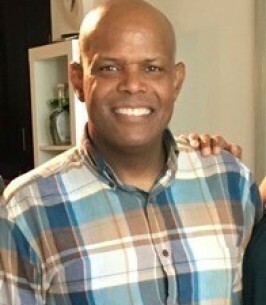 Jose Ventura, 56, of Orlando, FL passed away peacefully on September 20, 2018. Jose was born on October 17th, 1961, in Santo Domingo, Dominican Republic. He was the youngest of six siblings to parents Nicolas Ventura and Catalina Delgadillo . His parents moved him to Puerto Rico in 1972 where he went to the elementary, middle and high school. Jose was the class President of Central High School in 1980 located in Santurce barrio of San Juan, Puerto Rico. After high school graduation he went to Nathaniel Hawthorne College in New Hampshire where he graduated with an associates degree in Marketing. He truly lived life to the fullest through simple pleasures; talking with friends and family, laughing, and telling stories. He had a heart of gold and a smile that could lighten up any day. Jose had an uncanny ability to reach people in a deep and positive way. He had lived a wonderful and happy life, he made it a point to inspire others to do the same. Now that he is no longer with us, let us continue his legacy in honor of the life he lived. Jose is survived by his daughters Sashi Santeliz and Micheli Ventura, son Andrew Jose Ventura, stepsons Jeffery Molina and Sergio Molina , nieces, nephews and extended family. Jose was a an amazing father, brother, uncle and friend to everyone. His Celebration of Life service will be held from 6:00pm-8:00pm, Wednesday September 26th, 2018, at Horizon West Community Church, 6121 Avalon Rd, Winter Garden , Fl 34787. Service will start sharply at 6:00pm with the opening words of Victor A. Rivera, Senior Pastor. Jose's arrangements are in the caring guidance of Winter Oak Funeral Home, 1132 E. Plant Street, Winter Garden, FL 34787. To send flowers to the family of Jose Ventura, please visit our Heartfelt Sympathies Store. Please accept our deepest condolences for the loss of Jose. We pray our loving Heavenly Father (Psalm 83:18) grants you peace during this difficult time.